NOTE: Calling a DUI defense lawyer immediately after arrest for a DUI in Georgia is wise. New implied consent laws affecting limited permit options exist for avoiding total suspension of your driving privileges. A primary purpose for passing the new Georgia implied consent law pertaining to driver’s license administrative suspension options, O.C.G.A. §40-5-64.1, effective July 1, 2017, is to all motorists to avoid risking total loss of license after an appeal to DDS. The new law allows waiving the right to a DUI refusal hearing for the ALS suspension, in exchange for the DUI driver agreeing to install an ignition interlock device in his or her vehicle for 12 months (restrictions and rules apply). After the arrest for a Georgia DUI, the arresting officer’s police department transmits the DDS Form 1205 and the seized driver’s license to the Georgia Department of Driver Services in Conyers, GA. This transmittal of the DUI driver’s license happens for either blowing over the legal alcohol limit, or refusing to take the DUI breath test, blood test or urine test requested by the arresting officer. Because a recent US Supreme Court case (Birchfield v. North Dakota) has altered the rules for when a law enforcement officer can ask for blood testing, under the Georgia implied consent law, most DUI refusal cases will be for not agreeing to take the forensic breath alcohol test on the Intoxilyzer 9000. This Conyers GA DDS Georgia office location is the headquarters of the State agency handling Georgia’s driver license issuance and driver license suspension or revocation. For a DUI refusal, the plastic license is shredded, once processed at GA DDS. For a DUI per se (took breath alcohol test and blew over the legal limit), the Georgia driver’s license is filed away by the DDS Georgia administrative license unit. The rules for permitting a license to be issued or not are very rigid and precise, and are not subject to variation or “discretion,” insofar as handing out a GA driver license. Calling and berating workers at DDS Georgia offices accomplishes nothing, since they can only mechanically apply the rules. At all costs, do not get a driving on suspended license GA arrest, after being arrested for a DUI in Georgia. 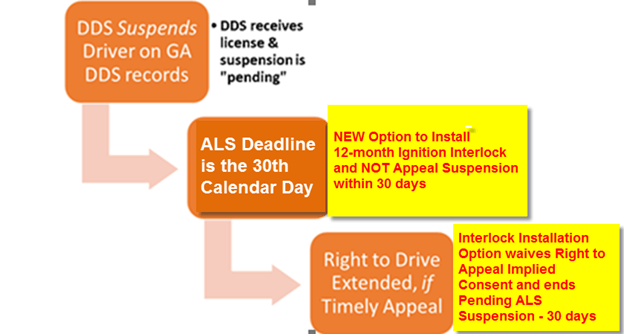 Starting July 1, 2017, for DUI arrests in GA on that date or after, a new option and alternative procedure for handling the ALS appeal exists. Simply stated, no OSAH appeal will be undertaken at the risk of a hard suspension, if the Georgia DUI arrestee opts to apply for an ignition interlock device (IID) permit, pay for and install it, and leave it installed for a full 12 months. This IID option law was passed by the 2015 General Assembly, but was delayed for its effective date until July 1, 2017, for arrests made on or after that date. This new law is intended to permit a first DUI offense driver (aged 21 and over) who has refused to submit to breath alcohol testing after his or her DUI arrest to obtain an interlock device that prevents a vehicle from being started and also signals the driver to blow again, for periodic checks on his or her continued sober driving. If this option is not selected, and the driver loses the administrative hearing, Georgia implied consent law would totally bar the driver from ANY type of operation of a motor vehicle for 12 months, under existing GA DUI law relating to an implied consent law violation for refusing to submit to testing. Do nothing, and suffer the implied consent suspension on the 46th day. A Georgia DUI first offense citizen who submits to the Intoxilyzer 9000 can get an immediate limited permit on the 46th day after arrest, when temporary permit expires, by paying $200 by mail or $210 in person, and having completed the DUI school (risk reduction course). Full Georgia driver license can be reinstated after 120 days, if the driver submits proof of DUI school and pays the required reinstatement fee. File a traditional administrative license suspension appeal for either testing over the legal limit, or an implied consent “DUI refusal” suspension. The hearing before an OSAH judge determines the right to drive, but an officer may negotiate with your DUI lawyer and withdraw the hearing, or possibly not show up for the scheduled administrative hearing. For drivers age 21 and over, he or she can pay a permit fee of $25 to get an ignition interlock installed, and thereby waive the right to appeal the pending suspension. After this permit issued, the person has only 10 days to get installation completed. The driver must abide by all ignition interlock rules, and inspection criteria for a full 12-month period. The interlock restricted driver cannot drive any vehicle without an interlock. No CMV (commercial motor vehicle) can be operated with a vehicle interlock device installed. At end of the 12 months, he or she pays an interlock permit restriction removal fee to Georgia DDS, and get the ignition breathalyzer device taken off. This fee is $90 by mail, or $100 if done in person. 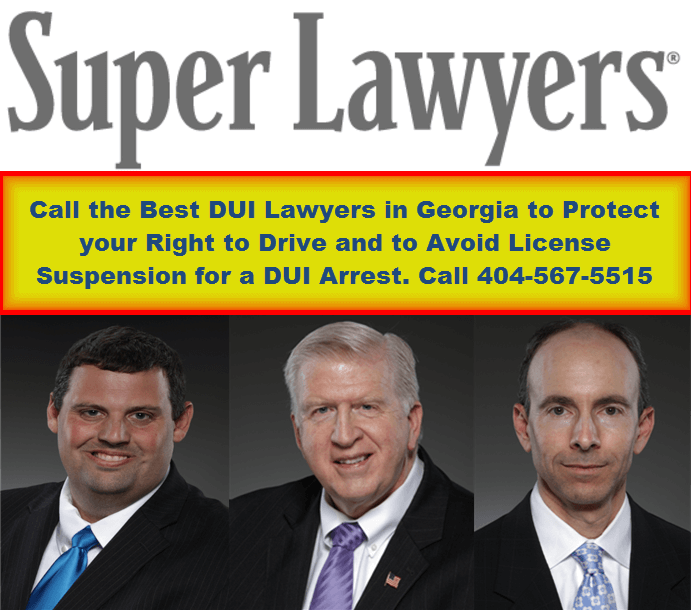 Contact Atlanta criminal defense lawyer and GA DUI specialist Bubba Head now at (404) 567-5515. Let Mr. Head and his DUI law firm partners protect your driver’s license before it is too late. The call is FREE, the initial consultation of FREE. 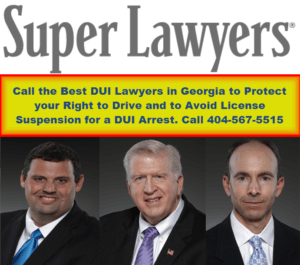 Bubba Head and his law partners, Cory Yager and Larry Kohn are all 2017 Super lawyers, and have handled thousands of DUI cases over the past 10 years.